Originally from Latvia, Magdalena Sustere is a cellist who is passionate about playing diverse music. Her career reflects that diversity as she has developed her technique not only in the baroque and classical, but as well as opera, gospel, musicals, world music, jazz, and improvisation. Magdalena earned her Masters of Music from The Chicago College of Performing Arts at Roosevelt University, where she studied with Dr. Tanya Carey. 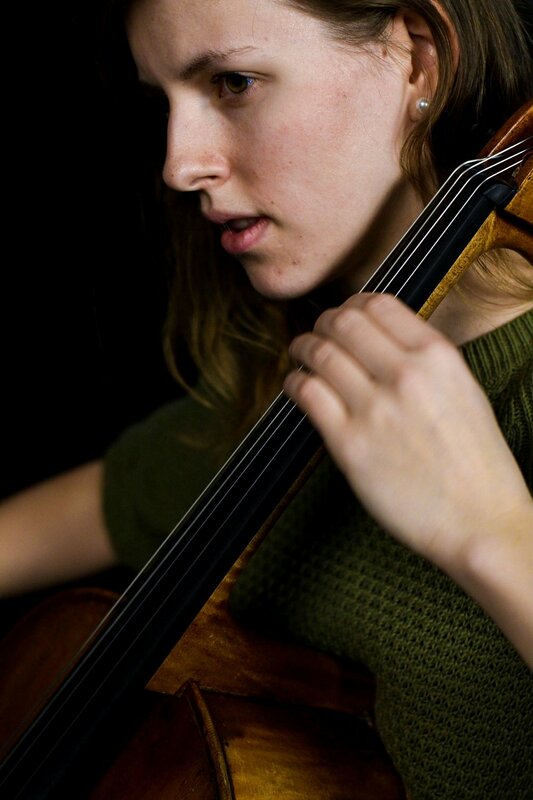 She earned her Bachelors of Music in cello performance from Southern Illinois University Edwardsville. She has received several scholarships awards including the Eastern Music Festival Young Artist Merit Award and the SIUE Pival Memorial Cello Scholarship. Ms. Sustere has also been a guest speaker at the SIUE Kimmel Leadership Center’s MLK Celebration Luncheon and International Women’s Organization. Magdalena has additionally played in masterclasses for Lynn Harrell, Neal Cary, Robert Burkhardt, Ozan Tunca, Anne Suda, Julian Schwarz, Sara Sant’ Ambrogio, Eric Stephenson, and Steuart Pincombe. Currently, Ms. Sustere serves as a freelance cellist and educator in the greater Chicagoland area, and serves as principal cellist in Chicago Composer’s Orchestra. Besides cello playing, Magdalena enjoys singing, playing electric bass, and hanging out with friends.